By a vote of 55-0, the Bodaway/Gap chapter of the Navajo Nation rescinded a 2012 resolution that greenlighted the Grand Canyon Escalade, a hotly contested proposal to build a 420-acre resort on Grand Canyon’s east rim and a tram to carry 10,000 tourists a day to the bottom of the canyon where the Colorado and Little Colorado rivers meet. This marks the second time in four months that the project received a resounding defeat. Last fall, the Navajo Nation Council slammed the door on Escalade by a vote of 16-2. Following the more recent vote on February 24, the Bodaway/Gap chapter Vice President Leonard Sloan said, “Bil ni’dzil gaal,” or Escalade is “clubbed to death,” in the Navajo language. In October 2012, Escalade salesmen R. Lamar Whitmer and former Navajo Nation President Albert Hale strong-armed an illegal vote by the Bodaway/Gap chapter that withdrew Navajo land to build the controversial development. Navajo law requires unanimous consent by local land users before such a land withdrawal can be authorized. The Escalade salesmen devoted the next five years to lobbying the Navajo Nation’s 24 council delegates to approve their project. In 2016, they finally convinced a delegate — who did not represent the Bodaway/Gap chapter — to introduce legislation that would have paid $65 million for the project’s infrastructure and given final approval to their plan. The bill suffered multiple defeats in committee votes before it was rejected by the entire council. The Chapter members, Grazing Permittees, and Homesite Permittees of the Bodaway/Gap Chapter that live and utilize the subject 420 acres of the proposed Escalade Project are opposed to the project and have never given their consent for use of the affected land. Save the Confluence family members, residents of western Navajo, and a large network of native communities are committed to designating the entire confluence area off-limits to development. Next steps in that process include the chapter and Navajo Nation Council approving resolutions to designate the confluence as a sacred site. 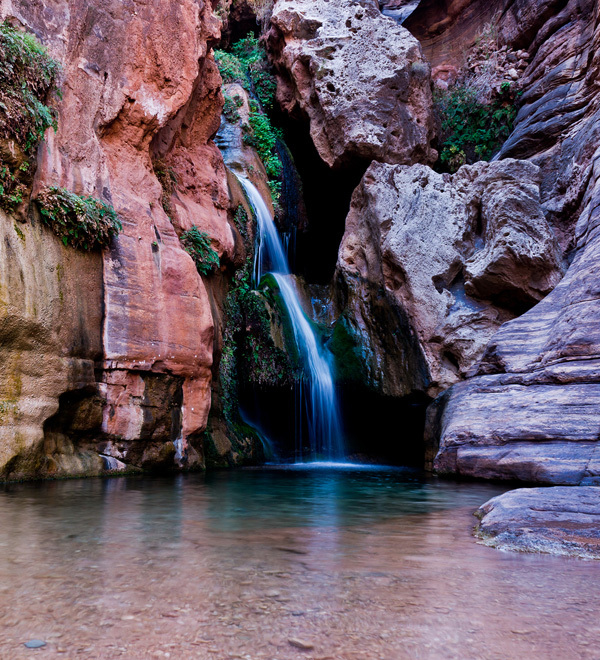 The Grand Canyon Trust stands behind Save the Confluence and will continue to offer support.